www.robmazurek.com Mazurek was born in Naperville, Illinois in 1966, and played trumpet and cornet in high school. After high school he attended the Bloom School of Jazz in Chicago, and began playing gigs with local jazz musicians. In the early 1990s, he played hard bop with his first quartet, featuring drummer George Fludas, bassist John Webber, and pianist Randolph Tressler. This troupe booked an extended set of gigs in Edinburgh, Scotland, and Scottish label Hep Records released three albums of theirs, in 1994, 1995, and 1997. Mazurek was born in Naperville, Illinois in 1966, and played trumpet and cornet in high school. After high school he attended the Bloom School of Jazz in Chicago, and began playing gigs with local jazz musicians. In the early 1990s, he played hard bop with his first quartet, featuring drummer George Fludas, bassist John Webber, and pianist Randolph Tressler. This troupe booked an extended set of gigs in Edinburgh, Scotland, and Scottish label Hep Records released three albums of theirs, in 1994, 1995, and 1997. In 1996, Mazurek founded a workshop at Chicago jazz club The Green Mill called Chicago Underground for the performance of avant-garde, improvisatory jazz. By 1998, a new ensemble had formed around this idea, featuring guitarist Jeff Parker, drummer Chad Taylor, bassist Noel Kupersmith, and trombonist Sara Smith. As the Chicago Underground Orchestra, this ensemble released several albums on Chicago's Delmark Records. Mazurek continued to form groups under the Chicago Underground umbrella, performing as the Chicago Underground Duo and Chicago Underground Quartet. By now a well-known figure on the Chicago jazz scene, Mazurek collaborated with a number of jazz and experimental rock artists, performing on albums by Tortoise, Sam Prekop, Gastr del Sol, Stereolab, and Brokeback. Out of these experiments was born the experimental collaboration Isotope 217. Mazurek would continue experimenting with his laptop-based project Orton Socket. 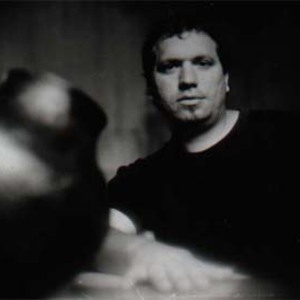 Mazurek has released several albums on Chicago's Thrill Jockey records in the 2000s, including some under the Chicago Underground designation. Mazurek also paints and experiments with multimedia art. In addition to touring extensively worldwide as a musician, he has had works exhibited at art galleries such as Heaven Gallery in Chicago, Naked Duck Gallery in New York, and Gantner Multi-Media Center in France. In 2005, Mazurek was granted residency at the Abbaye Royal de Fontevraud in France, where he created and exhibited a multimedia work. Returning to Chicago later in 2005, he put together an ensemble called the Exploding Star Orchestra for concerts in Millennium Park. In 2006, he moved to Brazil, and founded a new ensemble, the Sao Paulo Underground, which toured worldwide.